Los Angeles : Wedding couples often remember their first dance together and this couple which got stuck in traffic performed the blissful dance in an altogether interesting manner. But where there is a will there is a way and for the couple ‘way’ turned out to be a perfect resolution. Yes, you got it right. The couple ended up dancing on the freeway while on the way to their wedding reception. 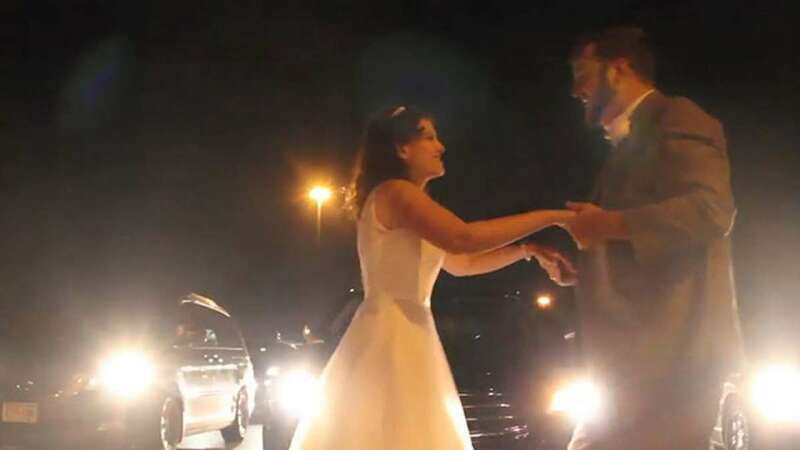 The moment occurred after traffic came to a stop for an hour after a multiple-vehicle crash shut down the freeway, hence they held their first dance in the middle of the traffic jam. Thankfully, the freeway opened up about two hours later and the couple dashed to their wedding party. Meanwhile, the video of the couple dancing on the freeway went viral on social media.